Heat oven to 375°F. Season chicken with garlic powder, pepper and salt. In 10-inch nonstick skillet, melt 2 tablespoons of the butter over medium-high heat. Cook chicken in butter 8 to 10 minutes or until chicken is well-browned on all sides. Remove from skillet; cool slightly. Unroll dough, and separate into 8 triangles. 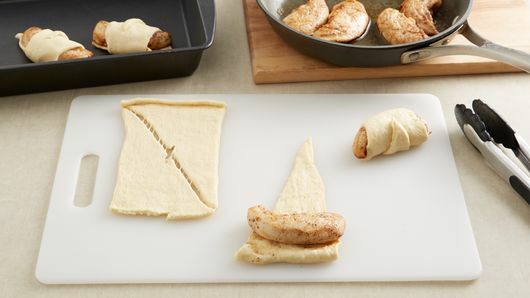 Place piece of chicken on wide end of triangle, and roll up dough around chicken; place in ungreased 13x9-inch baking dish. Repeat to use all of chicken and dough. In small microwavable bowl, heat remaining 1 tablespoon butter in microwave uncovered on High 15 to 30 seconds or until melted. Brush crescents with melted butter; top with bread crumbs. Bake 15 minutes. A few minutes before removing dish from oven, using same skillet, heat cream cheese and milk over medium heat, stirring constantly, until smooth and bubbling. 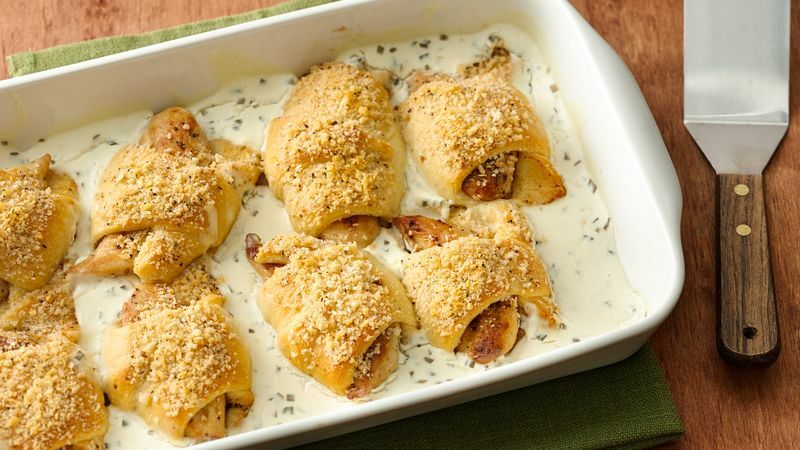 Pour sauce into baking dish around crescent-wrapped chicken. Bake 5 to 7 minutes or until crescents are golden brown and sauce is bubbling. Chicken breasts also work in this dish. 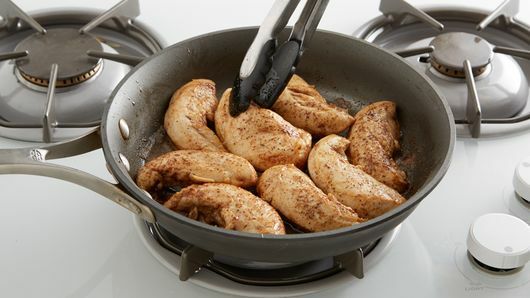 Cut 1 1/4 to 1 1/2 lb chicken breasts lengthwise into 8 equal-size strips. Top with chopped fresh chives before serving.